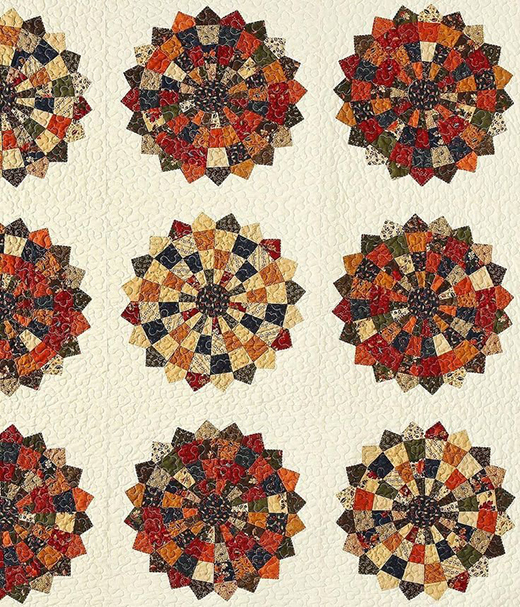 This The Checkered Dresden Quilt designed by Jenny of Missouri Quilt Co, The Tutorial is available for free. Jenny demonstrates how to make a stunning Checkered Dresden quilt using MSQC's Large Dresden Plate Template for 10" Squares and 2.5 inch strips of precut fabric. We used Oak Haven Jelly Roll by Kansas Troubles for Moda Fabrics. Learn how to sew with strip sets!